November 13: the cryptocurrency markets are today mostly seeing losses, albeit slight ones. 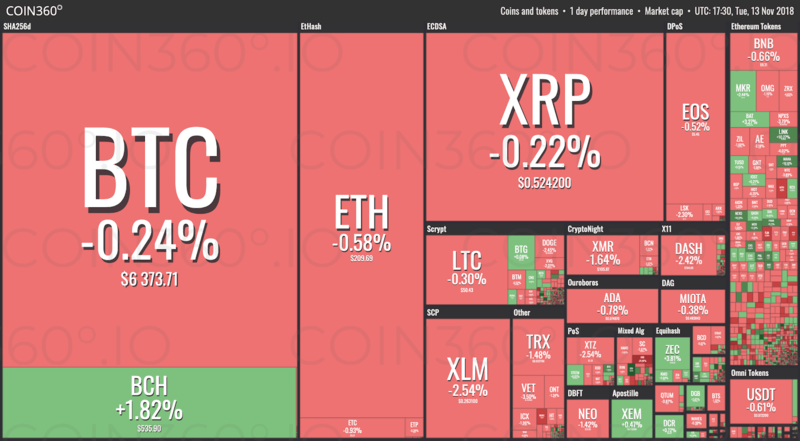 Although there is some green interspersed between the intraday results, the majority of coins are in the red. The following market visualization from Coin360 clearly shows the wave of losses sweeping the cryptocurrency market boards. Many smaller cryptocurrencies are in the green, but most major coins are seeing slight losses of between 0.2% and 0.6%. However, the total cryptocurrency market capitalization is still holding comfortably above the $200 billion line. At the moment of writing, the total crypto market cap is approximately $212.2 billion. Moreover, the trading volume over the past 24 hours is just shy of $13.3 billion. More specifically, Bitcoin has also experienced a price decrease during the day. Although it is comparatively minor, this still brings Bitcoin down to levels not seen for weeks. 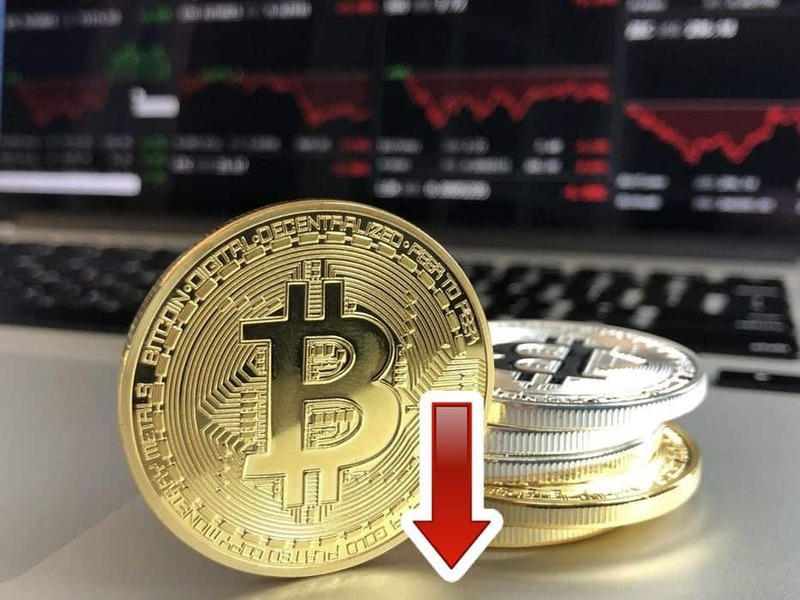 At the time of writing, Bitcoin is currently down 0.59% day-over-day, and is trading at $6,305.23. 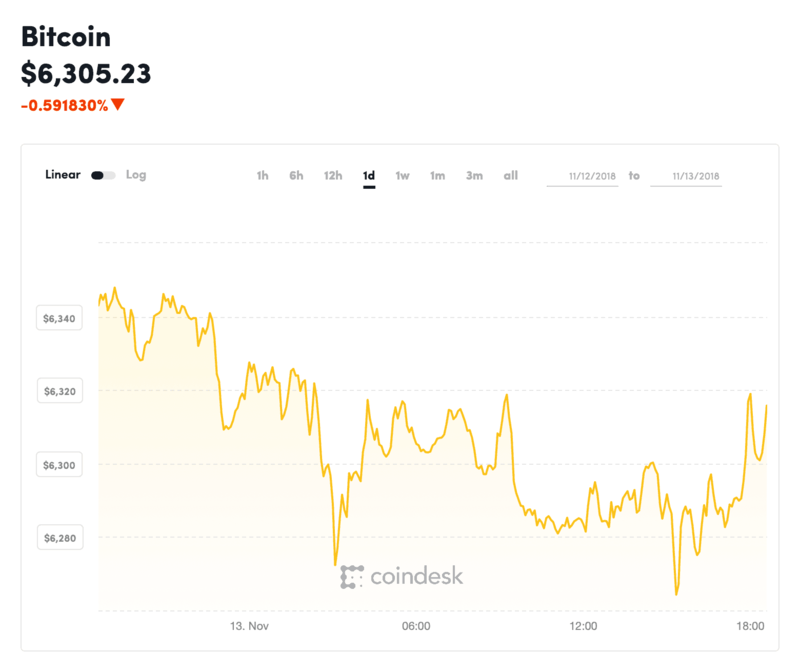 The following chart from CoinDesk clearly shows how the premier cryptocurrency has seen a continuous price decrease during the day. Nevertheless, Bitcoin has covered somewhat during the last few hours, and would appear to be trending upwards again. This is, at least, the case judging by the cryptocurrency’s intraday performance. This situation is quite similar to that experienced by Ethereum. Currently, Ethereum is trading at $207.46. Moreover, this translates to a loss of 0.80% during the past 24 hours. The performance of the cryptocurrency is also highly reminiscent of Bitcoin’s intraday behavior. In fact, the attached price chart – also from CoinDesk – shows how Ethereum first declined and then recovered during the past hours. At the moment, however, Ethereum is still trading significantly over the currency’s long-term support level of around $200. Only time will tell whether the cryptocurrency continues to recover as the day continues. Practically the only major cryptocurrency coin in the green is Bitcoin Cash, which is currently seeing gains of 2.98%. This translates to a current price of $539.51. On the other hand, cryptocurrencies such as Ripple and Stellar are having a harder time. Ripple is currently down 0.29%, trading at $0.522, and Stellar is down 2.55% – trading at $0.2626. Litecoin is also down, 0.55% which means it is trading at $50.33. In addition to this, Monero has also experienced losses, trading 1.78% down over the past day and at a price of $105.83.